The owner of a well-known property letting agents in Norwich told me once that they had a saying – ‘the greedy man goes hungry’. There is not a lot of point in charging a high rent for a property if no-one is prepared to pay it. That was then and this is now, and many landlords today are charging very high rents indeed. So much so that some tenants are paying over 1/2 or more of their salary to their landlord for rent. Particularly, in Landon, where rented property is in short supply. How much longer this can go on is hard to say. There are calls for rent regulation law, but this has historically brought problems of its own, as those of us who remember the Rent Act will know. I still think landlords should be wary about charging too much for their property rent. In my view, it’s best to find good tenants and keep them long term with no voids. Even if they are paying less than the market rent, long term its easier and probably better financially too. However advising on rent levels is best done by someone local who specialises in renting property. This is why, if you are a new landlord, getting a (good) local agency to help you let the property, even if you want to manage it yourself, is often a good idea. They will know what the correct rent levels are for your type of property, and will also be able to help you present the property so that it achieves the best price possible. Rent is generally either paid monthly or weekly. Monthly is most common, mainly because most people are paid monthly, and can pay by standing order. Often this is specified in the tenancy agreement. However note that if the tenant proffers payment in some other way, you should not refuse to take it (and thereby artificially put the tenant into arrears). One important consequence of the rental period is that this will affect the ‘periodic’ tenancy which will come into effect if the tenant stays on after the fixed term comes to an end. Generally, this will be either monthly or weekly. However, if your agreement provides for the rent to be paid in some other way if you are not careful, this may result in a quarterly or even annual periodic tenancy. This is less of a problem now though after the Spencer v. Taylor case simplified the law relating to section 21. Note by the way that under the common law, rent is payable in arrears so if you want rent paid in advance (which you almost certainly will) this needs to be specifically stated in your tenancy agreement. All well-drafted tenancy agreements will do this – but there is no harm in checking! NB I wrote about this here. If the rent is weekly, the other thing to remember is that by law you need to give the tenant a rent book, in the proper form. However, failure to provide this does not mean that the tenant does not have to pay (as failure to provide a section 48 notice does). It does, however, put you at risk of prosecution, so compliance is a good idea! You can generally get rent books from large stationers or on the internet. Lawpack has a good one. You will generally want to increase rent over time, to keep up with the level of inflation. Normally a rent increase is done by getting the tenant to sign a new tenancy agreement at the end of the fixed term or a (considerably shorter) renewal form. Letting agents generally insist on doing this and making a charge for it. Strictly speaking, a ‘renewal’ is not actually necessary – as by law the tenancy will roll on anyway as a periodic under the same terms and conditions – section 5 of the Housing Act 1988. However, it is usually easier to do a rent increase by giving a renewal – because as the tenant has agreed to the new figure by signing the agreement, he cannot challenge it. If you do not want to give a new tenancy or renewal form, you can also get the tenant to agree to the rent increase by signing and returning to you a copy of a letter sent regarding the rent increase. The fact that the tenant has signed and dated the letter will be proof that they have agreed to it. Or, if the tenant is being evasive, a rent increase can be done via the statutory notice procedure. There is a prescribed form for this, and if the tenant fails to challenge the new rent during the months’ notice period (by referring it to the First Tier Tribunal for review), the rent increase will take effect automatically. Note by the way, that if your tenant is a protected tenant, there is a separate ‘fair rent’ system you need to use where the rent is set by Rent Officers. Another, but less common way (in the private rented sector anyway) for a rent increase is by a rent review clause in your tenancy agreement. However, you need to be careful that the clause is fair and complies with the Unfair Terms rules (discussed in more detail later in this series). The way to make a rent review clause fair is to make it referable to something external. For example the retail price index. Or you can specify what the new figure will actually be (ie say that the rent will increase to £X month after six months). This will be deemed fair as the tenant will have approved the actual amount by signing the agreement. What will NOT be deemed fair is a clause saying, more or less, that the landlord can impose a rent increase for whatever amount he chooses. However putting the new rent in the tenancy agreement does not always work, as the Court of Appeal decision in the case of Bankway Properties Ltd -v- Penfold-Dunsford and Another shows. Here (in an assured tenancy agreement – where the section 21 ground for possession was not available) the draftsman put in a clause saying that the landlord had the option to increase the rent from £4,680 to £25,000. Needless to say, once the rent increase was implemented, the tenant fell into arrears and the landlord sued for possession. The Court of Appeal held that in law the rent increase clause was invalid, as, they said, it was merely a device, masquerading as a provision for an increase in rent, to enable the landlord to bring the assured tenancy to an end when it chose and to obtain possession of the property. So very large rent increases that the tenant is obviously not going to be able to afford are not recommended (and will be unsustainable if challenged). If there is a procedure for increasing the rent set out in the tenancy agreement, this must be followed precisely. The importance of this is shown by another case, Riverside Housing Association v. White. Riverside Housing Association had a rent review clause in their tenancy agreement that permitted them to increase the rent annually at a rent variation date in June of each year. However, they then decided to increase the rent from a date in April, as this matched their financial year. This was done for several years. Later, in proceedings for possession, some tenants (Mr and Mrs White) defended on the basis that the increase was invalid because it had been done on the wrong day. The Court of Appeal upheld this, and it was only the House of Lords who found that the increase was valid. But only, their lordships stressed, on the particular facts of this case. Meaning no doubt, that they did not want the housing association to be made insolvent (as the Whites were not the only tenants whose rent had been increased in this way) but that they would be less kind to other landlords. So *always* be very careful to follow to the letter any requirements set out in the rent review clause. And when drafting rent review clauses for your tenancy agreement, make the procedure simple and easy to follow. Note also my blog post about a High Court decision relating to using the s13 notice procedure to increase rent where there is a rent review clause in the tenancy agreement. Nest time I will be looking at the term. 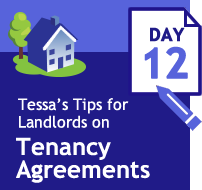 All Landlord Law tenancy agreements provide for landlords to be able to vary the standard rent payment instructions, and we also have a rent review clause you can use if you wish. There is also a Notice of Rent increase form and a renewal form. A new tenancy agreement has great risks now that there are so many ways to get trapped with S21 and all the paperwork you must prove the tenant was served, along with re-protecting the deposit etc. It may also make any guarantor agreement invalid. Can the statutory notice procedure be used if the tenancy agreement includes a rent review clause? And does doing so give a guarantor a valid reason not to pay up if the tenant does not do so? I am not a fan of “annual rent review dates” in the contract as missing one means you may loose the right to it. – Increase not to take effect less than 12 months from previous increase or start of tenancy. – New rent to be no more than the increase in [published index] from the start of the tenancy. (this avoids losses due to rounding, and using inflation rates for a date before the new rent date. If you rent property - you need a tenancy agreement! During 2017 I published a weekly series of tips on tenancy agreements. You will find an index here, along with other tenancy agreement related resources. Day 2: Why use one? Day 3: Tenancy or license?